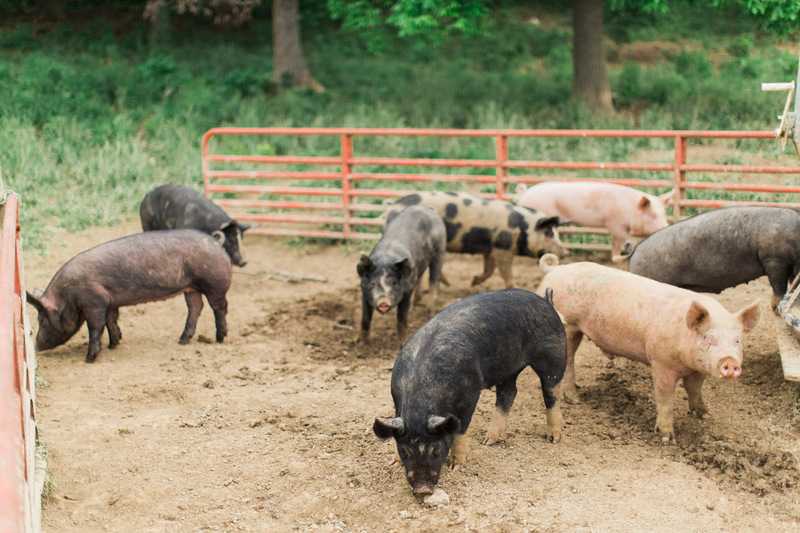 From Our Non-GMO Farm Comes Delicious All-Natural Pork. 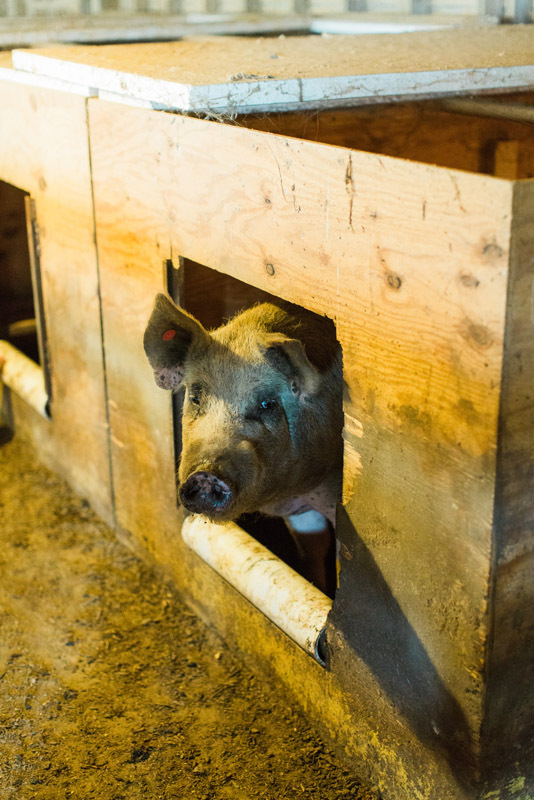 Ethical Farming Practices Make For Happy Hogs. Our swine are not confined. With free access to the outdoors, our pigs have made some long-lasting giant mud holes that they enjoy playing in. In warm weather, the mud cools them and then cakes to protect them from insects. Our hogs enjoy foraging on wooded land, a natural habitat for their optimal growth. We use a natural farrowing process to support healthy sows and piglets. Pens for birthing are designed for sows and piglets to come and go at will for birthing and nursing. 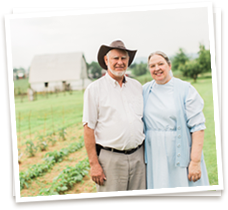 The ethical farm practices we employ are one way we live our values of service and stewardship. Rest Assured Our All-Natural Pork Products Are Non-GMO. With our feed mill on-site, we carefully manage each step of the process to produce non-GMO feed that we then provide as a nutritional supplement to our swine. 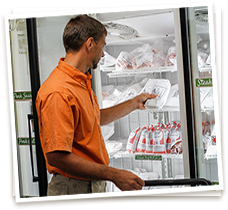 With pig starter feed, swine feed, and custom feed blends for each stage of development, Sunrise Farms’ hogs are fed non-GMO diets to produce non-GMO all-natural pork products. Our preserving process for hams, bacon, and sausage contains no added nitrates or nitrites and no MSG. We Welcome You To Visit Our Storefront To Stock Up On All-Natural Pork. Our storefront is conveniently located just 3.5 miles from I-64 off exit 91. We also offer regional meat delivery and wholesale. Enjoy our family recipes for a delicious all-natural pork meal. Sign up for the Sunrise Farms email list for notification of specials and seasonal discounts. Contact Us Or Visit Us For Non-GMO All-Natural Pork Today.